Shoukat Ali Pakistani Classical Music Singer. Shoukat Ali was born in Malakwal Punjab Pakistan, he is family artist and he created great name in Punjab Folk Music. Shoukat Ali began singing in 1960 for the first time on stage when he was a student at Government College, Lahore. Shoukat Ali got training of music from his elder brother Inayat Ali Khan. He is the father of Pakistani singer Imran Shoukat. He has performed, Pakistan Folk Music, Pakistan Ghazals, he performed well at the 1982 in Asian Games in New Dehli India. 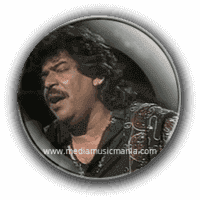 He is most popular Pakistani Folk Songs, Pakistani Ghazals Artist. He is most famous and legendary Artist of Pakistan. He sung lot of great Ghazals and Punjab Folk Music Songs. His song "Kadi te Has Bol Ve" was used in the "Film Love Aaj Kal". He also released a track titled "Jagga". He also sung great popular song of "Allama Iqbal R.A", "Jab Bahar Aai Tu Sehra Kai Terf Chal Nikla", this song was very popular. He began his career as a professional singer by participating in Radio Pakistan, he became popular among the people of Punjab. He was awarded the highest Pakistani civilian Presidential award, as well as the Voice of Punjab Award. He has sung Dastans Music of "Mirza Sahiban", "Saif-ul-Maluk" and "Heer Ranjha" and was famous in Pakistani Music for their emotional depth and also he got lot of awards as a cultural Ambassador of Pakistan. I have selected below most popular Music of Shoukat Ali.